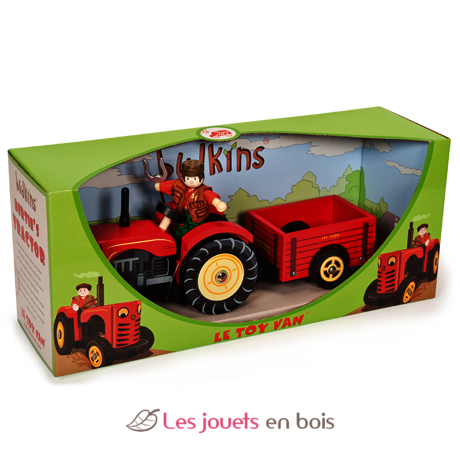 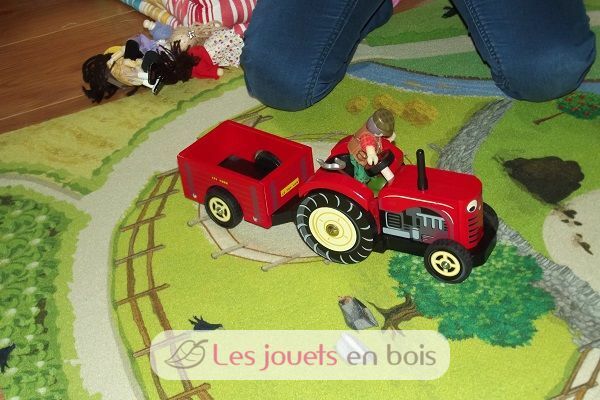 Bertie's tractor, red wooden tractor made by Le Toy Van, item number TV468. 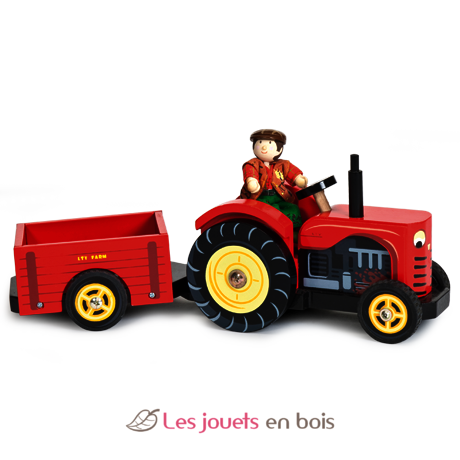 Down on the farm Discover this shiny red tractor and detachable trailer. 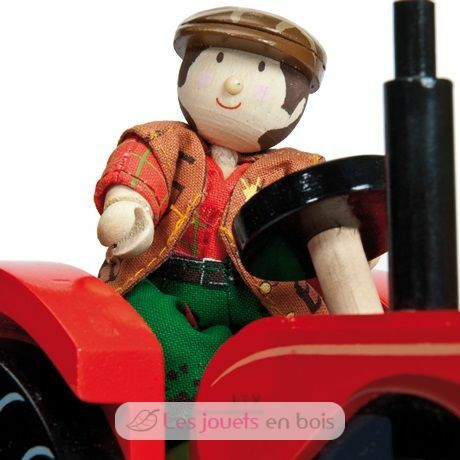 Complete with Budkin farmer Bertie. 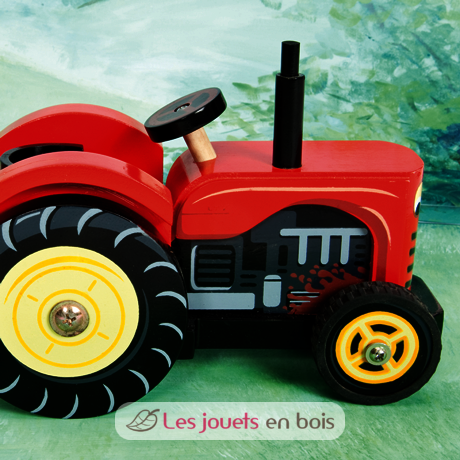 Ideal to accessorize the farm.